It’s Friday and we are all at home, yes it’s true….it’s ANOTHER no bus day at our children’s school. Here in Southern Ontario it’s been one heck of a Winter, we’ve had more snow this year than we are used to. Today I say nay to the Winter blues, I refuse to get down! 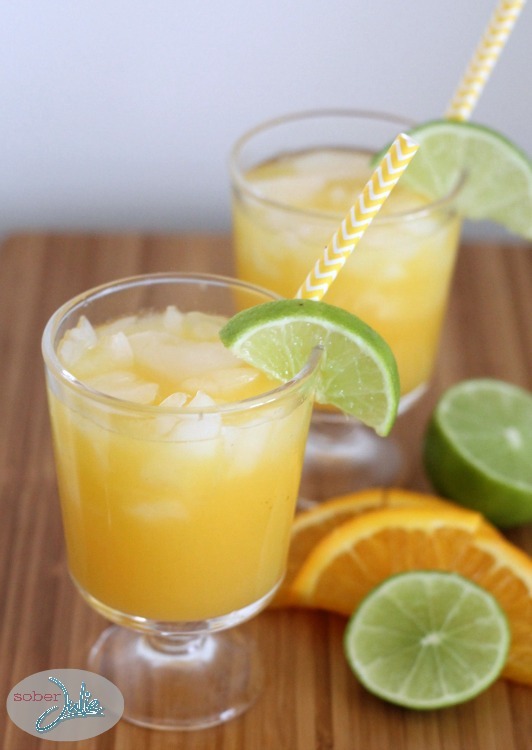 Instead the kids and I are having fun coming up a Fuzzy Navel Mocktail recipe and pretending we’re on a beach. 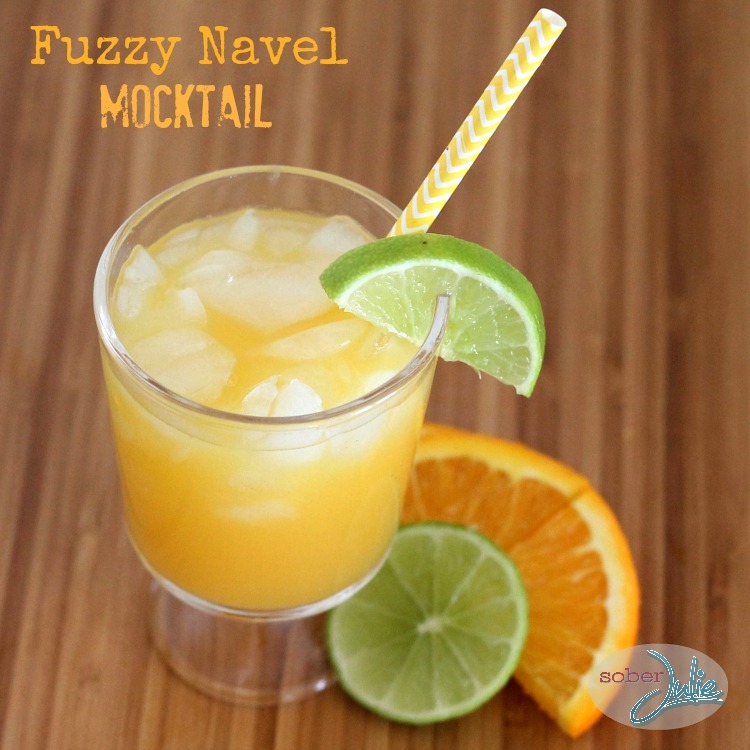 What would be better on a beach than a Fuzzy Navel? 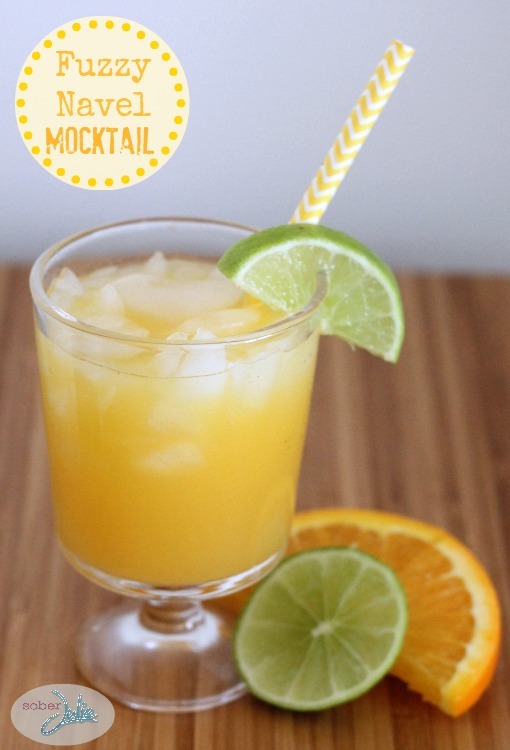 This is a classic cocktail which normally uses peach schnapps and orange juice but of course we eliminated the booze and yet were able to capture the taste! Add some ice to a glass. How simple is that? In minutes you’ll feel like you’re in a warmer climate, I swear I could almost feel the sun on my face. I may be trying to hard….but can you blame me? Mmmm this looks so fresh & delicious! I love mocktails! This sounds so refreshing!!! I love peach. Mocktails are definitely the way to go! YUM!!! 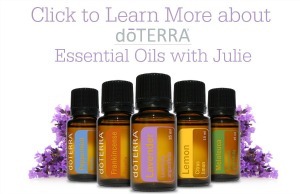 This looks amazing Julie. Absolutely amazing. Thirst quenching and so tasty. Loved the Fuzzy Navel! Thirst quenching and tasty too! This looks so thirst quenching!! That looks so refreshing Julie!!! Great photos and yum, yum!! !